The Trustees are seriously considering an opportunity to print the Word for today in CROATIA. Various factors have recently occurred to suggest that this needy nation may be open to our services. Indeed, having obtained the necessary permissions from UCB, we have obtained a translation of The Word For Today and printed a test booklet. Watch this space for future developments. Whatever or wherever happens, SEER MINISTRIES needs financial and prayer support! This delightfully illustrated set of six booklets allows us to print the story of Jesus with the text taken directly from scripture. The first thousand copies have been printed and distributed to mounting enthusiasm from churches and charities. Our friend David McGuire uses the booklets with the gypsy communities among which he works. It seems many more will be produced in the near future. Several thousand of each of the blank booklets were donated to Seer Ministriesby WEC, having been acquired from the Canadian Bible Society. Our printers have taken the Romanian texts directly from the Bible, so these are illustrated stories with the original texts. There are plans to print texts in other E.European languages, as these are an amazing tool for spreading the Gospels. Extension has now been used for a year. The extension has proved entirely successful. The extra space allows Ralph and Alex the freedom to work unimpeded by crates of paper or boxes of completed booklets awaiting distribution. The easy access ramp to the large double doors allows vehicles to reverse right up to the ramp and the deliveries and completed books can be easily transported in and out with the lifting trolley. However, although some new equipment has been purchased, there is a pressing need to update the remainder, so that will be a point of prayer and we hope to made decisions relating to them soon. One area of pressing need is the roof of the main dwelling. Our hope would be that we will have enough to be able to repair it in the next few months, all depending upon the level of donations. 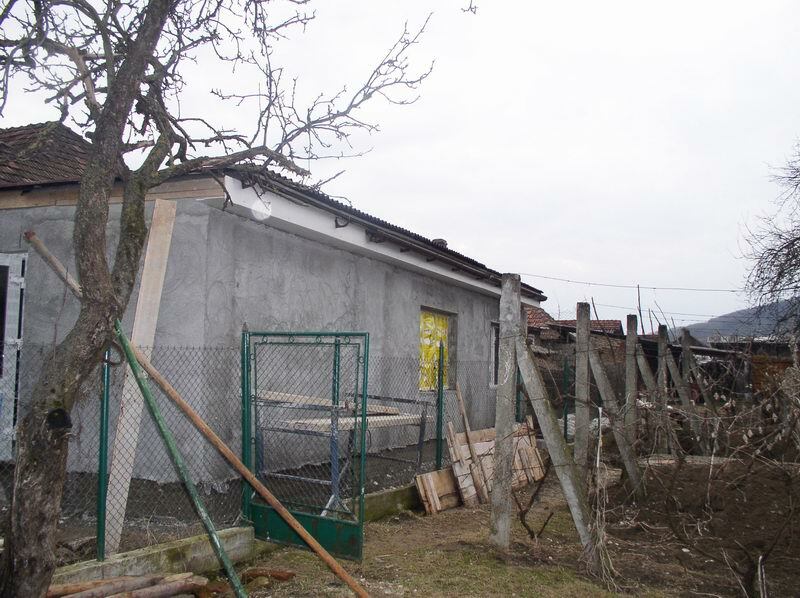 Seer Ministries are thrilled to announce that an extension for our print-shop in Jibou, Romania is now all but complete. On the 30th March 2006, Tim & Marion Cox flew home as the last members of the team of volunteers from the UK, who had assisted in the construction of the extension. 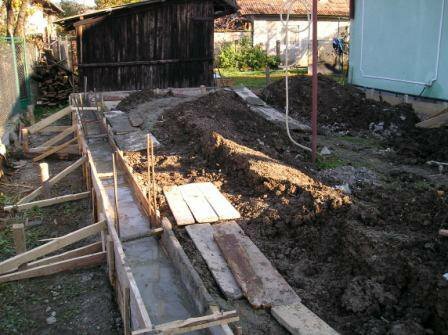 Builder David McGuire, who is resident in Romania, has been the guiding hand over the entire project. He is adding the final touches, ably assisted by Alex (our assistant printer). 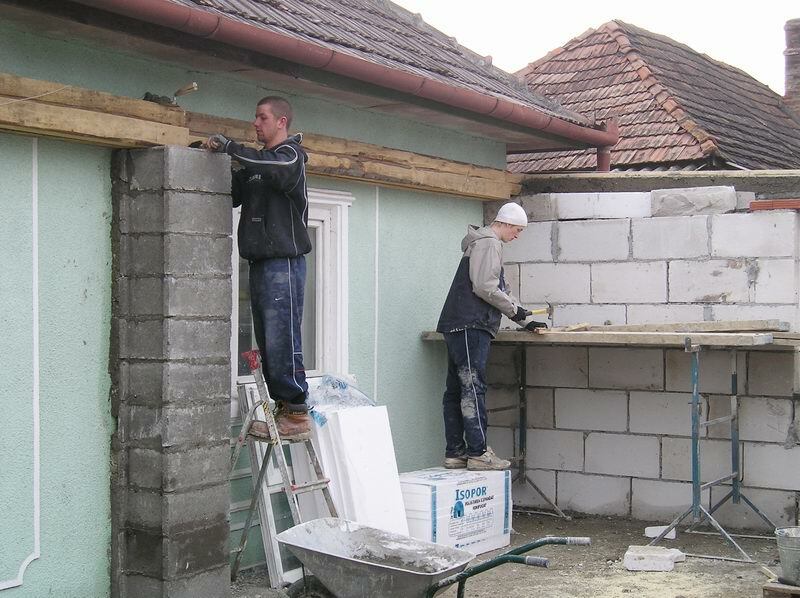 David (Left) went over to Romania a few years ago as an aid worker through his local church, but has stayed on and has assisted in or managed many different projects, including Seer Ministries building work. He is to be congratulated on his forthcoming marriage to a Romanian girl, they are to be married in the UK in May. Dave has taken on the personal delivery of the Word For Today in Albanian. 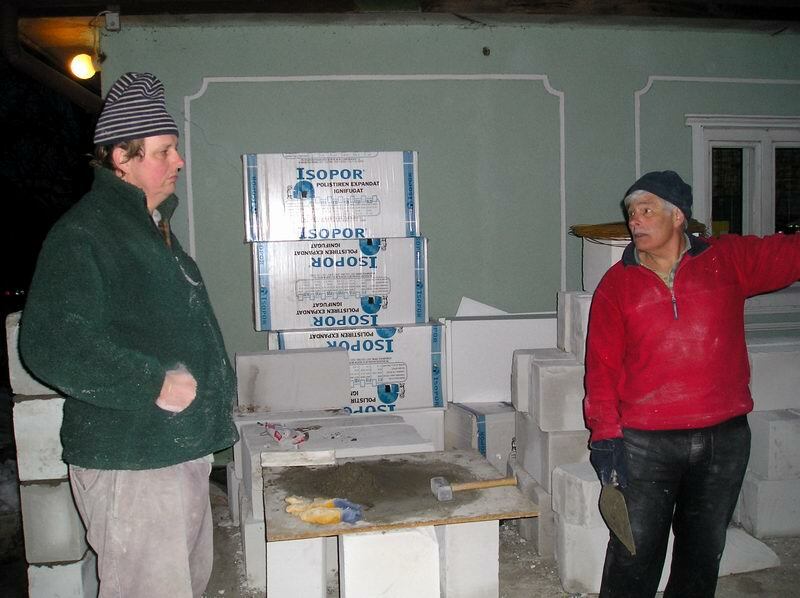 Special thanks are due to Billy Dixon (in red), a volunteer from Stockport who brought his considerable building skills to the project, and without whom progress would never have been as swift. With all the electric cabling put in place by a local electrician, the print-shop is now only waiting the laying of the special floor, that is tough enough and sealed so that the heavy printing equipment may operate effectively and the paper is kept dry. Hopefully, the new floor will add 8cm to the level and be finished off with a special polished surface, similar to supermarket floors. Here we see the desperate need for the extra space, as Alex fights his way through the mountains of paper and finished product just to undertake a day's work. So, thanks to all our volunteers, particularly the members of Seer Green Baptist Church, and the two young men, Jamie and Gareth, from the village of Seer Green. Without you we could never have managed it. The almost-finished product. The roof consists of two layers of roofing felt under corrugated roofing sheets that are flexible and completely waterproof. 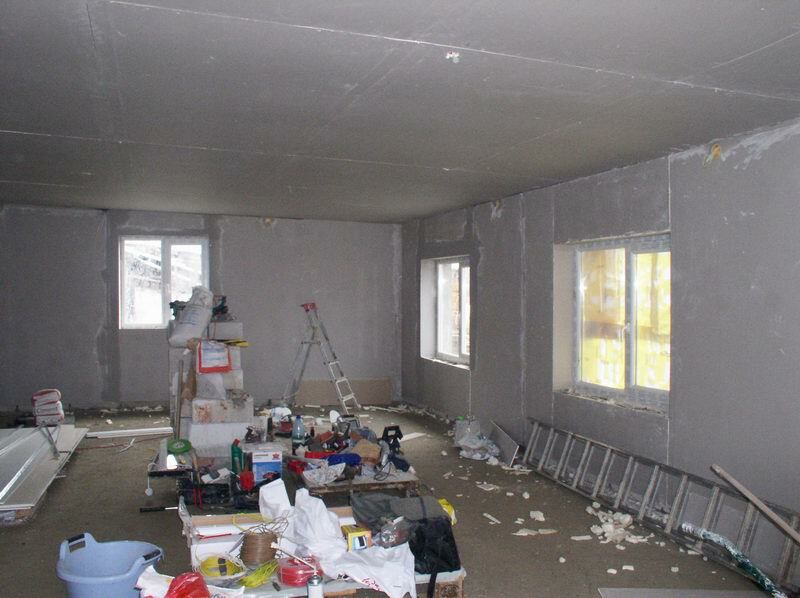 All walls are double skinned with insulation, while the ceiling has fibre-glass and polystyrene insulation. The windows and doors are double glazed UPVC units, giving weather and sound insulation to the construction. The guttering and drainpipes are all now in place, and the cosmetic stipple will be added shortly, when a colour can be agreed upon. The whole project has grabbed the interest of many local residents, who are surprised that the English are building such a durable extension. 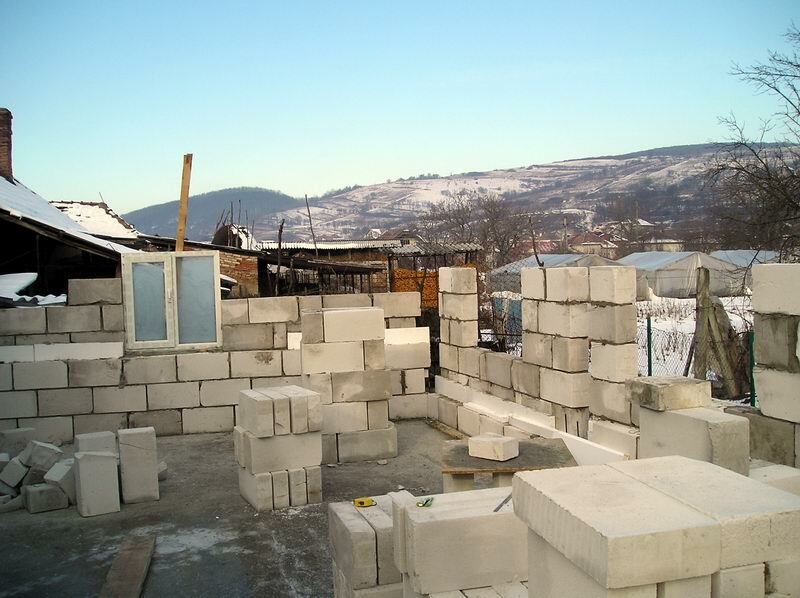 It is a far higher quality than normal Romanian constructions. Praise the Lord! Enough money has arrived for us to start work on the urgently needed print-shop extention. The extra space will allow us to meet the increasing demand for the Romanian edition of The Word For Today which is currently around 86,000 copies. 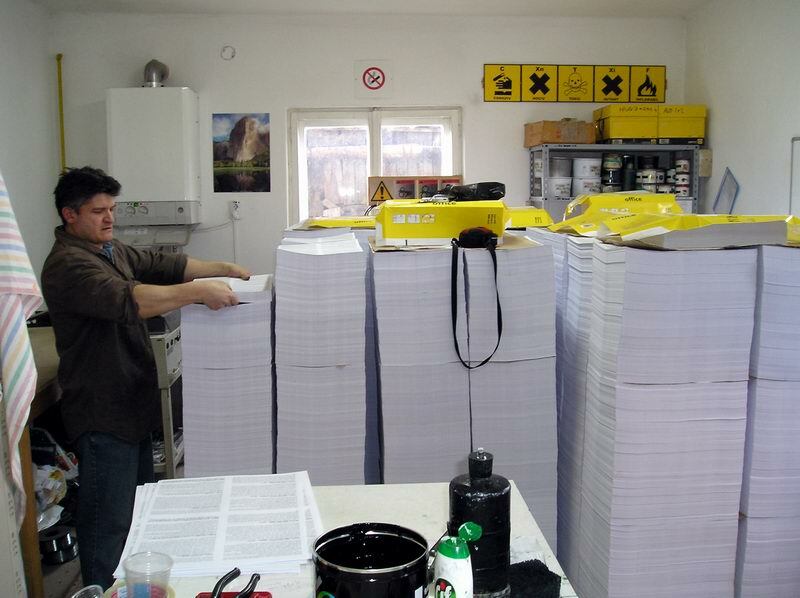 Our vision is to exceed 100,000 copies every Romanian edition, although that is just a beginning. The demand for the Hungarian edition is growing too. As a result, this print-shop extension is a top priority in our attempt to satisfy a genuine need in Romania. So far, the extension foundations have been dug, and concrete has been poured to bring the base up to the level of the existing print-shop floor. But we are still trusting the Lord that sufficient money will arrive to complete this important building work. We pray that we will be able to start printing in the extended print-shop next March. Please pray that the funds will arrive to complete the extension in good time.